4th Bn, The Worcestershire Regiment, 88th Infantry Brigade, 29th Division, B.E.F. Thomas Reginald Jones was born in March 1898 in Worcester. He was the eldest son of stonemason Thomas Jones and Alice Jones of Malvern. After living initially in Worcester, the family moved to Essington Cottage, West Malvern Road where his sister May was born in 1900. The family did not stay in West Malvern for very long however, moving to Burton-on-Trent for a while where their second daughter Jessie was born. Masonry kept Thomas Jones busy for after the family’s sojourn in Derbyshire, they returned to Malvern, but he was variously employed in the local district and on jobs as far a field as on the Manchester Ship Canal. In 1912, Thomas left school and took up an apprenticeship at the Council Gasworks at Lower Howsell. The family had again moved, and were now living at Greenfields, Upper Howsell. By this time he had earned a reputation as a good, clean-living lad, who played an active role in the church choir at Cowleigh. As an example of his kind nature, when he found a group of children trying to drown a kitten, he rescued the creature, and nurtured it back to health – the cat became devoted to him and ever afterwards would wait for him to come home from work and jump on to his shoulder to be carried into the house. 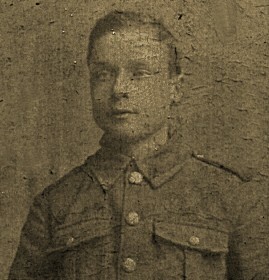 The family celebrated his 18th Birthday in March 1916, and not long afterwards he was conscripted in one of the first batches of men to be called up. He left his family and a Miss Robinson, of Church Road who he had met at church and had been courting and reported to Norton Barracks. He trained as a Number One Lewis Gunner (the member of the gun team that pulled the trigger) and was soon in France with the 3rd Worcestershire Regiment. He returned home on leave in May 1917, and returned to the 4th Battalion. The news of his death reached Malvern in January 1918 and in Cowleigh School his sister Edie and brother Eric were sent for by the headmaster. They were aware that an old boy had been killed, for when word reached the school, the pupils would gather round the flag pole, and the Union Flag would be lowered to half-mast. They were therefore surprised when the headmaster, ‘Johnnie’ Stone told them to go home as there was going to be a thunderstorm (and they lived a long way away). Their uncertainty was brought to an end when an old neighbour, Mrs Shayler shouted to them: “You two better get off home, your brother’s been killed in the war, and your mum will want you at home.” At this they ran back as fast as they could (and faster than Eric really could) to find their house already full of relatives and neighbours. 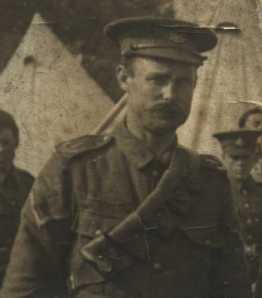 Much later, after the war a Mr Lewis from Bosbury, Herefs, who had been a stretcher-bearer during the Battle of Cambrai told of how Thomas Jones had been killed. He had been wounded in the fighting, and been brought back to a stretch of trench by one of Lewis’ stretcher party. They went back to retrieve more wounded men and when they returned Jones and the other men with him were nowhere to be found – they had been killed by a shell, while they waited to be taken back to safety.